The foundation of any company is built on its employees, and the story of getting the right employee begins with the recruitment process. Hiring forms an integral part of the overall business operations and determines the kind of employees that would become a part of your organization. Okay, we know that there are standalone tools for the recruitment process. In fact, these standalone tools may present you with features that are unique and not found anywhere else. These include interface and gamification, applicant tracking, and social media search. Yet, HRMS still remains a better choice. 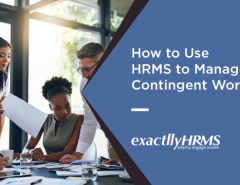 The simplest justification for this would be that an HRMS tool performs multiple functions. A knife is great for one function, but a Swiss knife is good for many. But that alone is not reason enough to choose HRMS tool over standalone recruitment tools. HRMS tools come with a single database, where all data related to a candidate is fed. The same data can be shared with other departments, whether or not a candidate is selected. Post-selection, it also makes onboarding easier as most of the necessary details are also recorded there. So overall, the edge of HRMS over standalone tools is quite apparent. 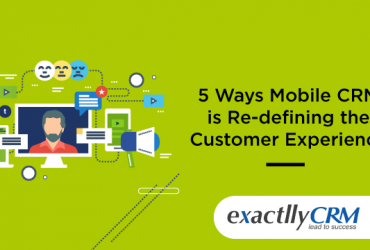 It looks quite appealing to hold mass recruitments where candidates from every corner are attracted towards your company, but that is not within everyone's capacity. The harsh truth is that more than the candidates struggling with unemployment, it is the companies (particularly startups and small enterprises) that struggle to employ people. It becomes very hard to call the best talent for the recruitment process, so the chances of getting the right candidate are reduced from the very start. HRMS has the capability to solve this problem. Using smart advertising, HRMs allows you to post ads through various mediums and reach out to potential candidates. The days of posting vacancies in the newspapers are long gone. Now, with the HRMS tool, you can have a plugin for social media and job boards, where you can both post requirements and view people who have responded. The tool then automatically creates profiles for all such candidates. Thus, the process of profile building and data gathering starts at the earliest and eliminates any scope for duplicate data or human entry. Even long after the advent of internet, recruitment had remained a rather rudimentary process. Almost everything involved was manual. Every department had to request for relevant data from another department, so on and so forth. Then and now, the recruitment process had to be completely secure and without any errors. The manual process just took a long time to do it, and there was still scope for human errors. However, this has changed in recent years. With the advent of automation tools like HRMS, the entire recruitment process has been revamped. 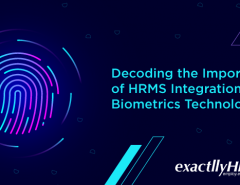 HRMS tool acts as the bridge that connects not just two ends, but also everyone in between. For instance, if there is a new requirement or vacancy, the manager enters that into the HRMS. The request is then sent to all the members who have a part to play here. Once the request is approved by the HR department, it is routed to the recruiter who performs his duty and forwards the request (along with the candidate profiles) to the hiring manager. During the entire process, complete visibility is maintained and one can see what the status of the request is. This transparency naturally makes things much easier and simpler to sort. While advertisement for job vacancies is fine, there is still a better way to hire new people. It has been observed time and again that job referral programs work great for big companies. In case you are not aware, job/employee referral is the practice of an existing employee of a company referring to a known associate for a job requirement to the company. In case that person is selected, the employee who referred him gets a bonus. Referral programs are efficient because they save you a lot of money you would otherwise have spent on advertisements and also reduce the time and effort that goes into the normal recruitment procedure. 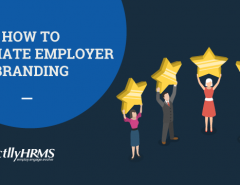 While referral programs via mail have been an old practice in the corporate world, HRMS integration has made things a smoother. The vacancy originates from the manager and is sent to your dashboard along with the incentives added along the way by the HR team. You can respond to that request by filling out the details of the candidate you are referring, which is then forwarded to the recruiter. The entire process becomes far more efficient than the usual tactic. The recruitment modules are heavily customizable. Depending on the size of your company, hiring requirements etc., the recruitment module can be customized to suit your needs. The recruitment module can be linked directly to the Careers section of your website. Anyone applying for a job in your company would have his/her details fed into the HRMS through the module and can be utilized later. The recruitment module can also be set to auto-publish any new requirements onto popular job boards across the internet and similar advertisements. Some great vendors have now started integrating applicant tracking feature into the HRMS recruitment module. It essentially allows you to check which applicant is at what stage of the hiring process. The recruitment module also comes with the ability to parse through the resumes, extract relevant details and feed it into the system. Through this automation, a lot of time is saved and the sanctity of data maintained. There is no denying that recruitment process is essential to a company. 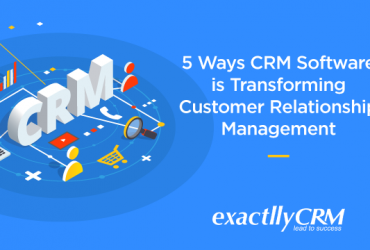 With tools like HRMS, things just became a lot easier and better.